Garage: "Garage: No Garage, RV Parking; Parking Space(s): 2"
Great Reno's! 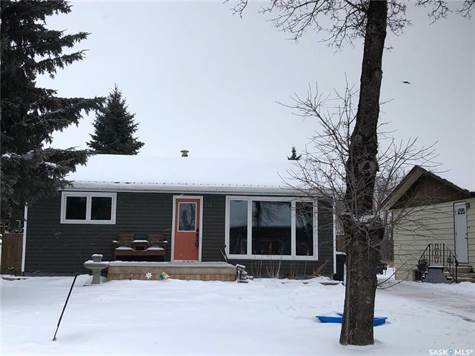 This two plus two bedroom, 2 bathroom bungalow with developed basement has experienced an awesome makeover. Laminate flooring throughout the main floor. Kitchen offers an abundance of natural light, featuring maple cabinets with mosaic back splash, gas stove and all appliances included, open to east facing living room. Completely renovated bathroom with ample storage. Basement features a recreation room, 2 bedrooms, 3 piece bathroom, combined laundry/storage and mechanical room with new furnace and on demand water heater. Large lot is fully fenced with two sheds, good size deck and plenty of room to build your dream garage. Exterior of home has been completely redone as well from the metal roof, insulation, siding, windows, doors, front deck and landscaping. This home is a savings account, the perfect first investment!